Digging around on the Internet, one is able to find that the team and management behind this Sportsbook/Casino have been around for decades doing their thing, and apparently doing it well. Cloudbet is very clean, very smooth, well built, and just all around quick and responsive. For a great full review of the site, check out what the folks over at GoodSportsBooks had to say during their review. 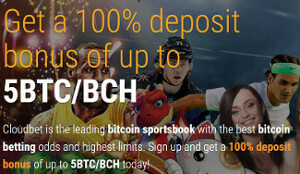 This is a bitcoin only Sportsbook. 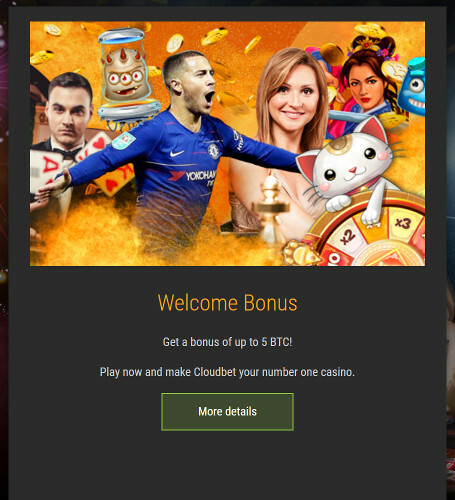 If you need any help with using bitcoin you can take a look at the bottom of the Cloudbet home page. They have a pretty good “how to” down there to get you started. 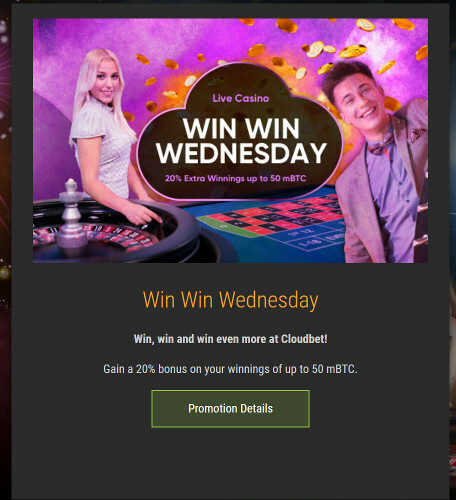 Also, one more thing, did you know that Cloudbet has actually lowered their minimum stakes? Yup. You can now wager as little as 10 satoshi! That’s only good news and more bets for you! There is some bad news to get out of the way. Players from the US, UK, Hong Kong, and Singapore are not welcome. Sorry folks, that’s just the way it is, nothing we can do about it. Moving on, we can still talk about the great deals and promos going on over there! You must deposit a minimum of 0.01 BTC to receive a bonus. Your bonus is earned by collecting loyalty points by placing sports bets or playing bitcoin casino games. They’ll release 0.01 BTC for every 800 loyalty points you earn. These 0.01 BTC increments will appear directly in your account, up to the maximum of 5 BTC. You have a total of a year to earn all the loyalty points needed to release your entire bonus. Nice and easy to claim bonus here. 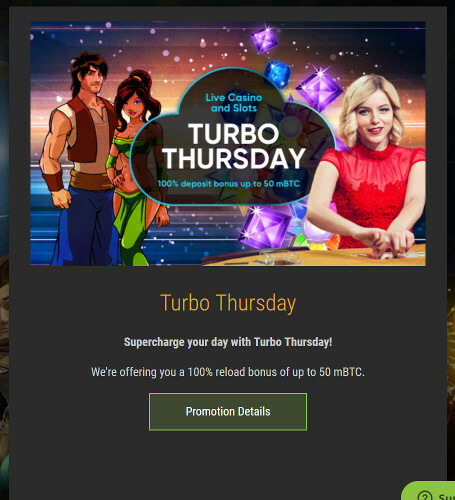 Make a deposit on a Wednesday and then go play a Live Dealer game. Win, and they’ll give you an additional 20%. 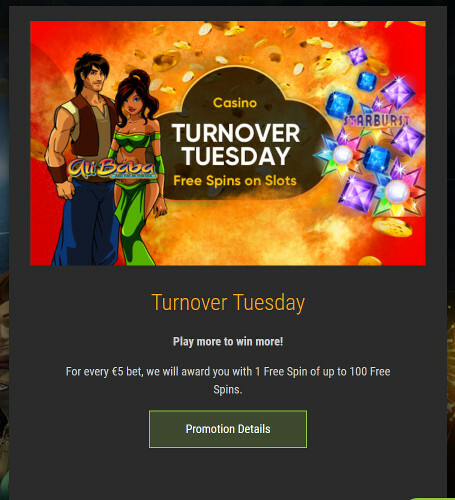 Play Book of Dead, Planet Fortune, Ali Baba, Starburst, Big Bad Wolf, and win your share of 1000s of FREE SPINS. The biggest players will top the leaderboard, meaning that the more you play, the more chance you’ll have of winning 260 Free Spins! Play the games displayed above between 00:00 UTC Friday and 23:59 UTC Sunday to qualify. Every 1 mBTC you spend will earn you 1 point. The players with the most points will win a share of 1000s of FREE SPINS on the slot machine Book of Dead. This bonus is available on your account after 05:00 UTC. Log in to the Dashboard where your bonus will be waiting for you. Select the T&Cs box and then select the “Opt in” button to activate bonus. Make a deposit of 0.1 mBTC or more. Another nice easy one here. 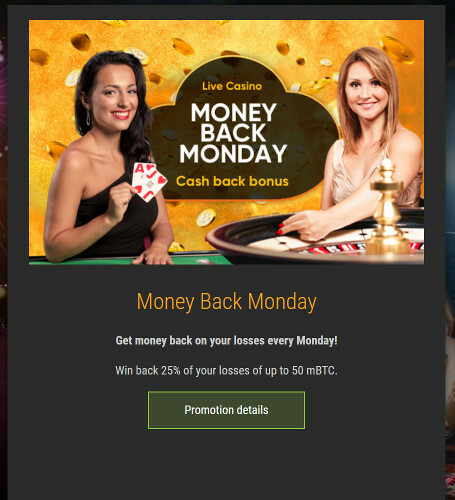 Simply make a deposit on a Monday and go play at the Live Casino. Lose? Win back 25% of your losses up to 50 mBTC. With this one, they’ll be fair across different currencies by converting bets into Euros. 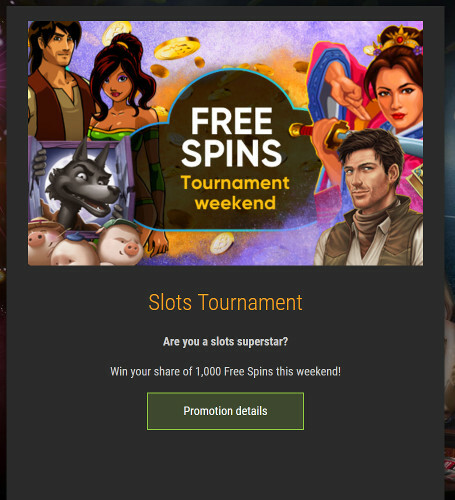 After that, for every €5 you wager you’ll automatically get an extra Free Spin. Will you be one of the 10 lucky players receiving a share of the prize pool this Easter weekend? Join the Easter hunt at Cloudbet and play now to find out. Climb up the leaderboard by earning 1 point per straight up bet won, and 10 points for a won bet on 0 green, this year’s Easter Egg. Who can win the most eggs this Easter? Place your bets at any of the Evolution roulette tables. 1 point will be earned on any straight up bet won. 10 points will be earned on a bet won on 0 green. The top 10 players with the most points will win a share 350 mBTC / 6 BCH. As you can see above, there just aren’t any real “promo codes” at Cloudbet, but still, some incredible deals for you to get in on! Obviously, you may have to wait for certain days of the week to use some of them, but that’s okay. It’ll give you something to look forward to throughout the week!